Joe Grondin is my mentor. When you spend any amount of time with me as a public speaker, you immediately know: I think the man is truly amazing. He has taught me some tremendously powerful insights and skills as a speaker. The last one is extremely rare and challenging to achieve and receive. By the end of last year 2016, only 69 people had ever earned Accredited Speaker achievement. That’s right: EVER. Because Joe Grondin has been competing all these years, he was (understandably) not able to commit to the one final requisite of one-year of District leadership service for the DTM achievement. This year, as he chose to not compete (for a larger reason to which I will get in a moment), he is currently fulfilling that last requirement during this year of 2017-2018. Hence, Joe will also be a DTM, Distinguished Toastmaster, by July 2018. But more than any of that, Joe has gone way beyond those two great victorious achievements. 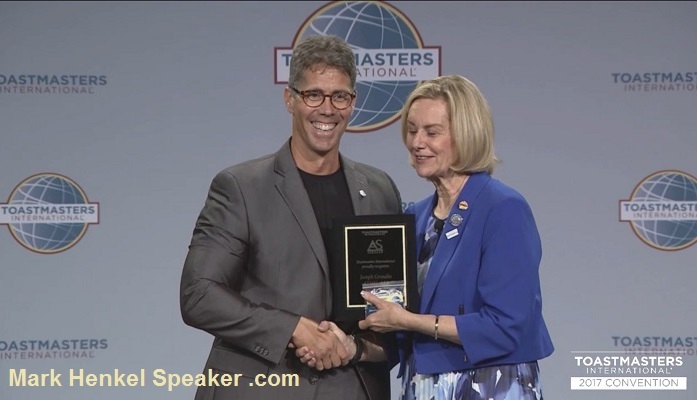 On Saturday, August 26, 2017, at the Toastmasters International Convention in Vancouver, British Columbia, Canada, Joe gave his final presentation in seeking to be allowed to earn the Accredited Speaker award. (This was an obviously considerable reason why he chose not to compete this year!) Anyway, his presentation rocked! When the event was completed, 6 of the 7 candidates had successfully achieved the award. 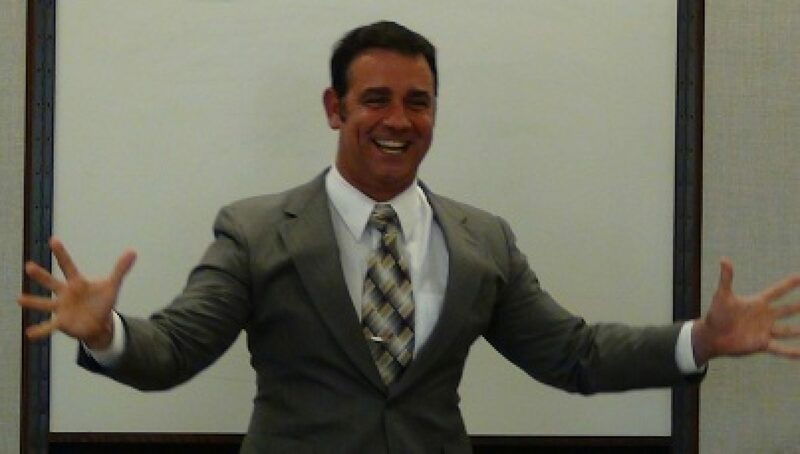 Thereby, Joe became one of now only 75 people to have ever earned this prestigious professional speaker award, the Accredited Speaker. You may see the actual presentation that Joe Grondin gave to earn this award! Simply order the on-demand video of the 2017 Accredited Speaker Finals. Of the 7 candidates, Joe was Speaker #4. His introduction begins at 01:16:35 on the on-demand video. Anyway, Joe is amazing. Yeah, I know, I keep saying that. Well,….. HE IS!